Gerald Hollingsworth says he sold to ZT Wealth because of its blue sky offer: $43 million. Badar: Sees "so much upside"
When Gerald Hollingsworth came home from volunteer medical duty in Vietnam in 1968, he wrote to Toyota's U.S. offices praising the Toyopet he drove abroad and wondering about U.S. sales plans. Toyota's response: a franchise in Fort Walton Beach, Fla., that became the launching point for Hollingsworth's four-brand Quality Imports dealership group. When Houston medical industry entrepreneur Taseer Badar, 41, decided this decade to try getting into auto retail, his overtures to automakers brought a much different response: Stand in line. So last month Badar became a dealer the way most do these days: by forking out huge sums for an existing store. The deal illustrates the twists and big bucks involved in buy-sells today. Badar's wealth management firm, ZT Wealth, spent $80 million to buy Hollingsworth's Toyota, Mercedes-Benz, BMW and Mazda stores. It's a striking contrast to Hollingsworth's cost of becoming a dealer in 1968: $10,000 in startup expenses -- plus a 6-cent stamp. 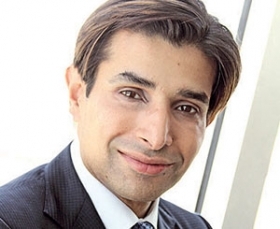 Trying to invest in dealerships was "very humbling," said Badar, CEO of ZT Wealth. "You can't get a point just because you want one." Badar partnered with Garrick Hatfield, general manager of Alex Rodriguez Mercedes-Benz near Houston until it sold to Group 1 Automotive Inc. in 2014. Hatfield is dealer principal at newly named ZT Motors. Manufacturers "were a little nervous" about outside investors, but Hatfield's 20-plus years in the auto industry helped allay those concerns, Badar said. ZT Wealth, which he described as a hybrid between a private equity firm and a family office, also had to prove a good track record with other investments, such as its 19 Popeyes fast-food franchises and Altus Health System medical centers, he said. For Hollingsworth, 83, the sale came almost two years after the death of his longtime general manager, Matt Marsteller, in a car accident. 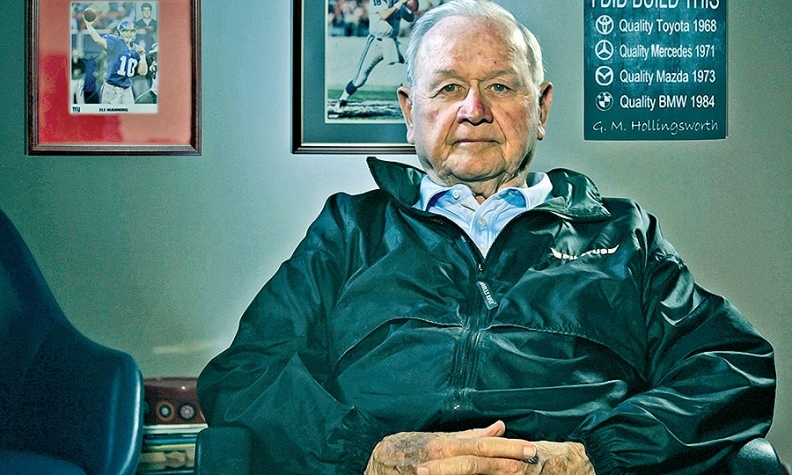 After being semiretired, Hollingsworth went back to running his dealerships on a daily basis. "It was wearing me out," he said. So Hollingsworth put out word that he would entertain offers. Some big dealership groups looked at the stores but passed because of their location in an out-of-the-way Gulf Coast beach town or the price it would have taken for a competitive bid, sources said. But several offers came in, Hollingsworth said. He selected ZT Wealth because it put up the highest blue sky number: $43 million. Other offers ranged from $25 million to $42 million in blue sky, he said. Blue sky is the intangible value of a dealership above and beyond its hard assets. The $80 million total reported by ZT Wealth also included $6 million for real estate, $25 million for floorplan and $6 million in other expenses, Badar said. The buyers also must invest millions of dollars in dealership renovations. ZT Wealth agreed to do image-improvement renovations for all four brands within 24 months, Badar said. The company will look for nearby real estate to buy and will separate the BMW and Mercedes-Benz operations from their shared rooftop. Hollingsworth said the manufacturers had long pushed him to make the renovations. He resisted, saying it wasn't a wise investment at his age. Now that the stores have sold, "I'm absolutely thrilled not to have to deal with the manufacturers anymore," he said. Hollingsworth said he appreciated the opportunities the manufacturers provided going back to 1968, but he lamented that the dealer-factory relationship has become so adversarial. "It's almost like the factories consider the dealers a necessary evil," he said. Hollingsworth noted that his criticism is directed at BMW and Mercedes; Toyota, by contrast, has been great to work with, he said. Hollingsworth, a general surgeon who attended the University of Mississippi and Harvard Medical School, continues to do flight physicals for airline pilots. Some proceeds from the sale of the dealerships likely will go to Ole Miss, he said. The football field there is named for Hollingsworth, a longtime supporter of the school. One of Hollingsworth's most prominent memories as a dealer came in 1993 when he won a jury award of nearly $40 million in damages from Southeast Toyota Distributors Inc. in a lawsuit saying he was punished with lower allocations for refusing to falsify sales. Southeast Toyota appealed, and Hollingsworth said he ultimately agreed to settle for about half the jury award. Badar, a Pakastani-American who grew up in Humble, Texas, has big plans for ZT Motors. Dealership revenue is north of $150 million with 2014 earnings of about $6 million, he said. He's aiming for $7 million in earnings this year and $10 million to $12 million by year three of ownership. Before the acquisition, the dealerships sold as many as 180 new and 120 used vehicles per month. In 2015, ZT Motors is targeting an increase of 20 percent in new-vehicle volume and 10 percent in used-vehicle volume. By 2017, it wants to sell at least 450 new and used vehicles a month at retail and wholesale. While the dealerships are making good money, there have been missed opportunities, Badar said. "There is so much upside," he said. "I would say Benjamin Franklins are flying out the door every minute there." Ultimately, Badar wants ZT Motors to post $25 million in annual earnings. But that means more stores. He wants to prove himself to the manufacturers and get dealerships much the way Hollingsworth got his, without blue sky. Said Badar: "My goal is open points."